We invite you to call our office and let us know how we may serve you. Let’s partner in your journey towards health and wellness! New York and Upper West Side of Manhattan-area families can expect top quality chiropractic care at Erickson Healing Arts! A New York, NY Chiropractor winner of the Patients' Choice Awards. Karen offered a wealth of knowledge and my neck has not felt this great in years. Dr. Karen is so wonderful. I felt quantumly better after my first visit and am looking forward to the next one. I feel like a new person – thank you! Pleasant experience, really helping relieve the pain I was having. 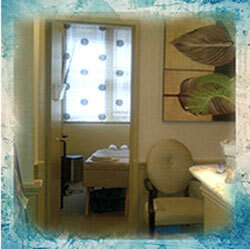 Your office provides top-notch care! A wonderful, comprehensive healing experience. 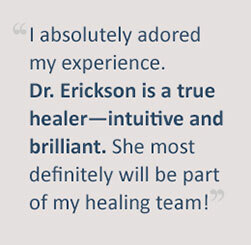 Dr. Erickson is clearly a gifted, extremely knowledgeable healer and a truly compassionate human being. I can’t wait for my next visit! I loved it! This practitioner is rather extraordinary. Very special, very knowledgeable. Very caring. Very talented ! 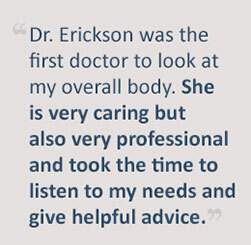 Dr. Erickson luckily knew a lot about my gastrointestinal problem-SIBO. I found my session with her very uplifting and very relaxing. If you have any GI problems, I highly recommend her, especially if you have SIBO. Thank you so much I feel great!!!!! Much more pain relief than had been expected. This is a truly exceptional healing facility. 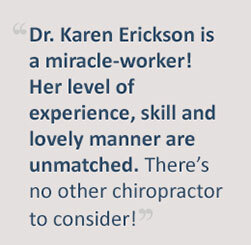 Dr. Karen Erickson is extremely competent, professional and compassionate. You can trust you are in great care here.